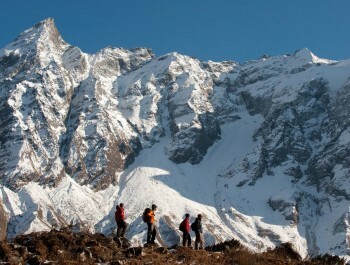 Trek begins from Sybru Bensi, finishes at Melamchi Pul Bazar. 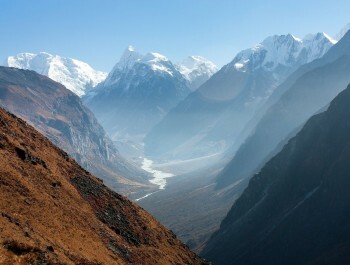 From Sybru Bensi, we will follow the Langtang River to the east until we get to Kyanching Gompa (3,049.) In Kyanjing Gompa there is a small Buddhist monastery and a cheese factory started in 1955 by the Swiss Association for Technical Assistance. When you are crossing the pass there are dramatic views; to the west Himal chuli (7893m) Manaslu (8156mm) and Ganesh Himal (7406m). 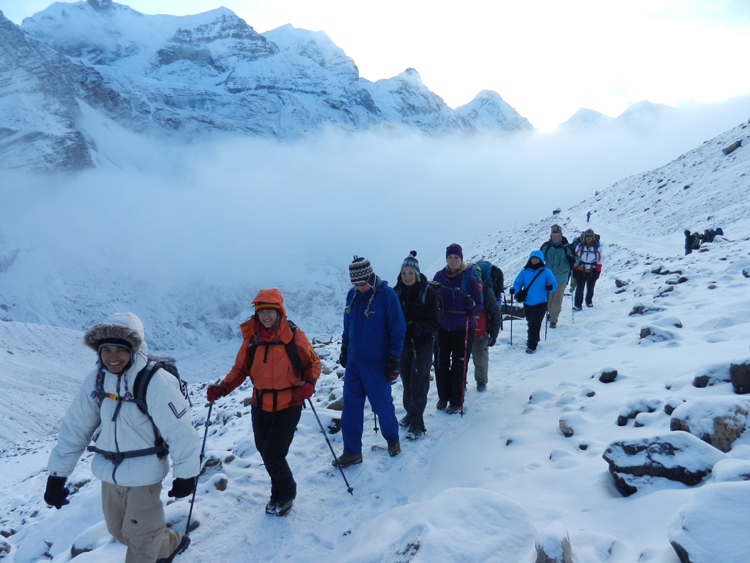 Much of this route is spent above 3,000m.The highest point of this trek is Ganjala Pass (5,122m). On the every pass of Ganjala, the last few 100m trails are precarious so we use a rope there for safety, though the utmost care is enough. The descent from the pass is on a steep slope for over 1 km, which requires good care again. But the rest of the trail is easy and comfortable. As there are no lodges and no settlements for three days along the way, the group should be well equipped with enough food. 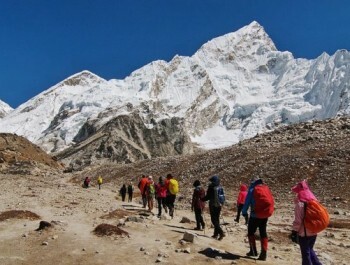 Only organized camping treks are possible for this region. The use of firewood is also prohibited within the park, the trek then turns straight south into the valley of Helambu via the Ganja La pass which is more exciting and challenging as well. 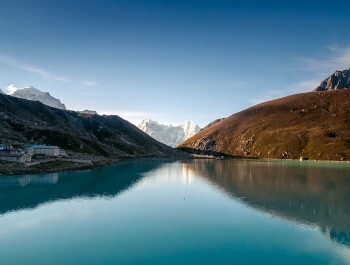 After passing the Ganjala Pass, the trail takes you to Malemchi gaon and Tarke Ghyang. 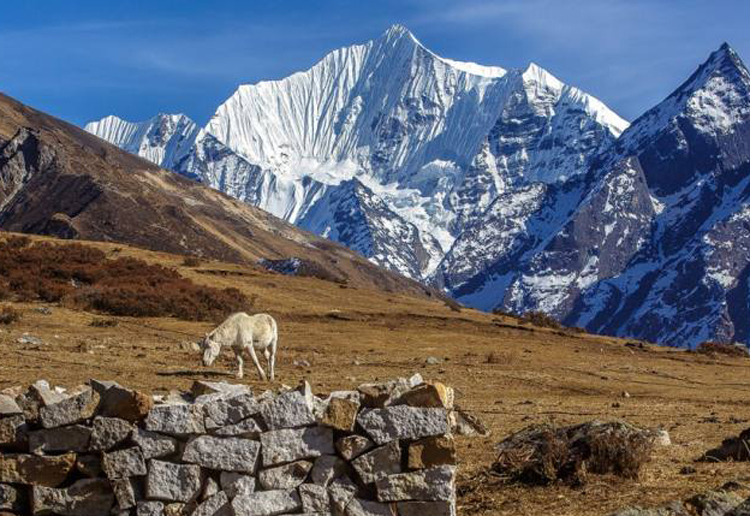 People here call themselves Sherpa’s but their relationship with the Sherpa of Solu Khumbu is distant. 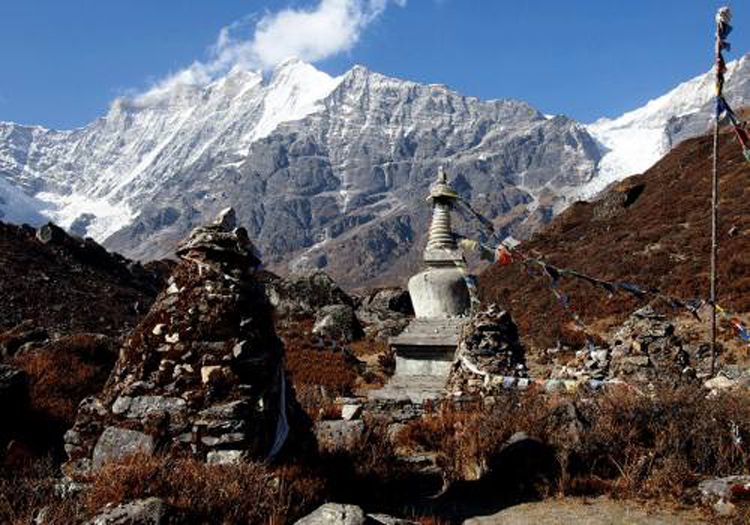 They have their own culture, lifestyle, different dialects, but they are believed on Buddhist so you will find many old Buddhist monasteries in the villages this trek offers the experience of being in a typical Sherpa village and many ancient monasteries. It is a golden chance to learn about life in our villages. Group Size : min 1to Max 12pax. Day 01: Arrival in Kathmandu airport (1345meters and transfer to Hotel. Day 03: Drive from Kathmandu to Dhunche (1966m.). 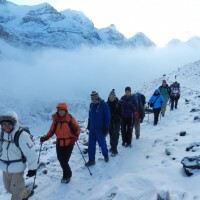 Day 06: Trek Lama Hotel to Langtang (3500m.). 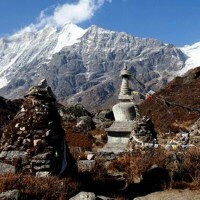 Day 07: Trek Langtang to Kyangjing Gomba (3800m.). Day 08: Rest Day at Kyangjing Gomba for excursion..
Day 09: Trek to Ganjala High Camp(4960m)..
Day 10: Trek to Gonjala Pass(5130m). 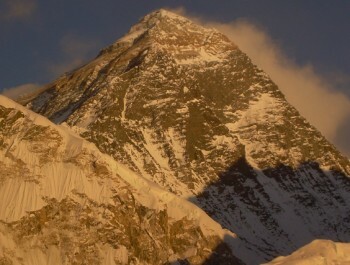 Proceed to Yangrikharka(4420m). Day 11: Trek Yangrikharka to Dhukpu(4040m). The program will be followed by sightseeing, Village tour Rafting, Hiking, Horse ridding and the Mountain flight on the interest of the clients. 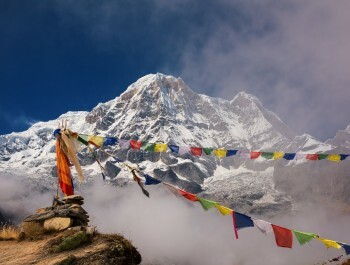 Travel Insurance (Essential – Should include emergency evacuation coverage while trekking up to 3800+ meters).